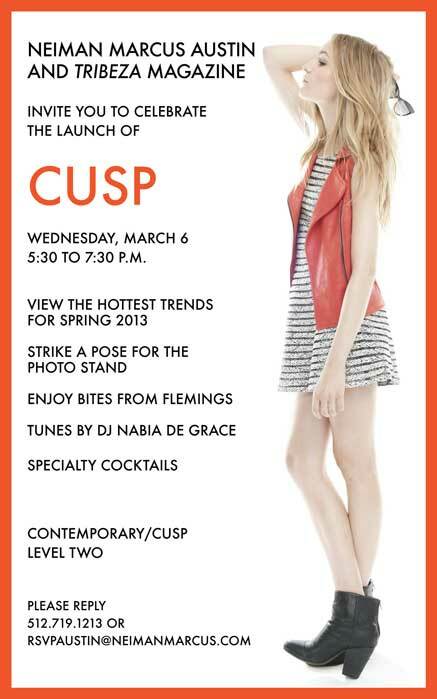 Have you shopped at Cusp, yet? I spent an inordinate amount of time fantasy shopping on Cusp.com last week, anticipating the newly launched Cusp (contemporary) department of Neiman Marcus at The Domain this coming Wednesday. They carry some of my favorite brands, like Alice + Olivia, Splendid, and Marc Jacobs. Come out Wednesday night for the big reveal. 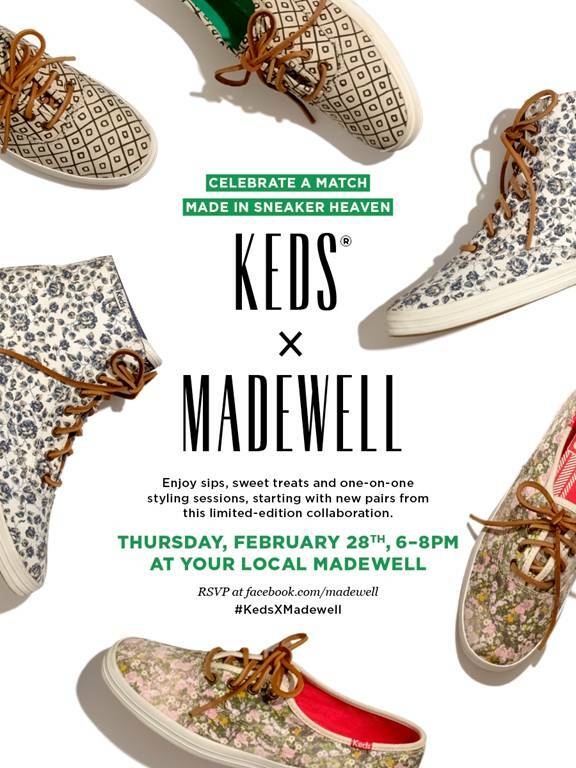 RSVP: 512.710.1213 or via email rsvpaustin@neimanmarcus.com. 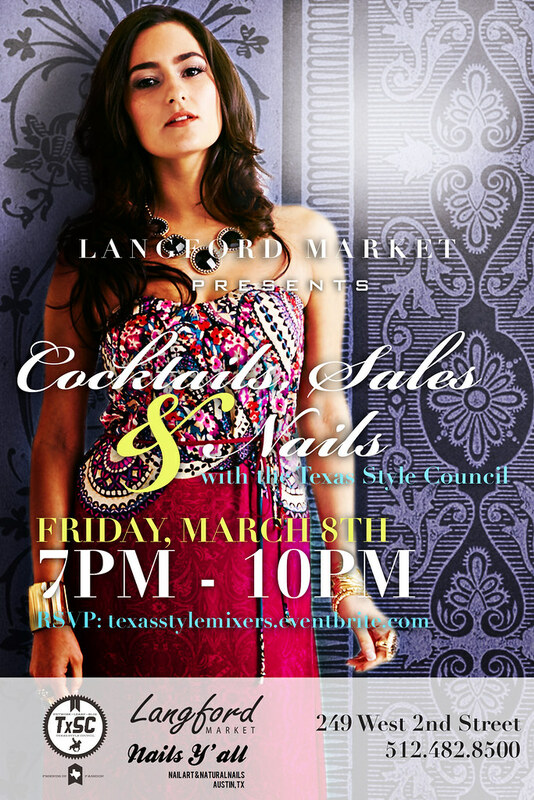 Saturday is our big Texas Style Council mixer event. I am thrilled to be doing it at The Domain this year (away from the madness of downtown, where parking will still be plentiful). 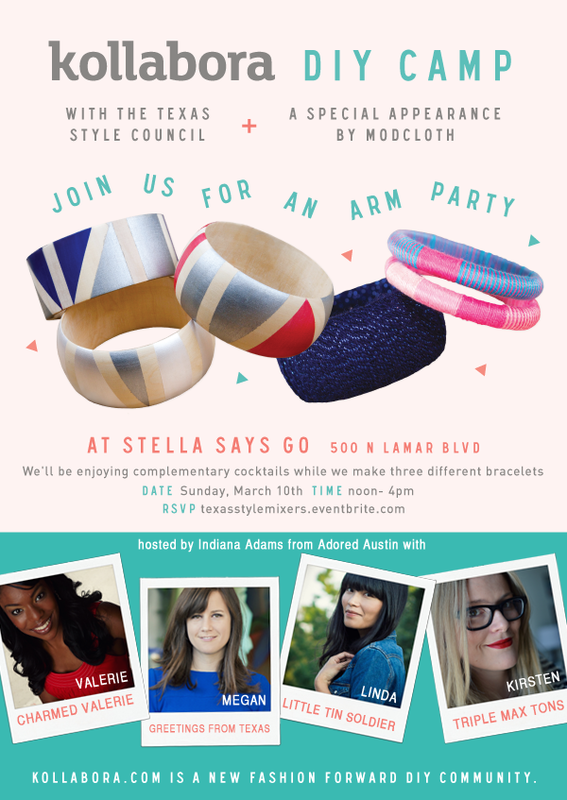 We'll be giving each registered attendee a "Shopping Passport" which will have incentives like 30% LOFT. For every purchase made at participating stores, shoppers will get a stamp on their passport. For every stamp earned, shoppers will be entered to win an amazing prize package that includes clothes, jewelry, and a bag! Trust me, you want this. 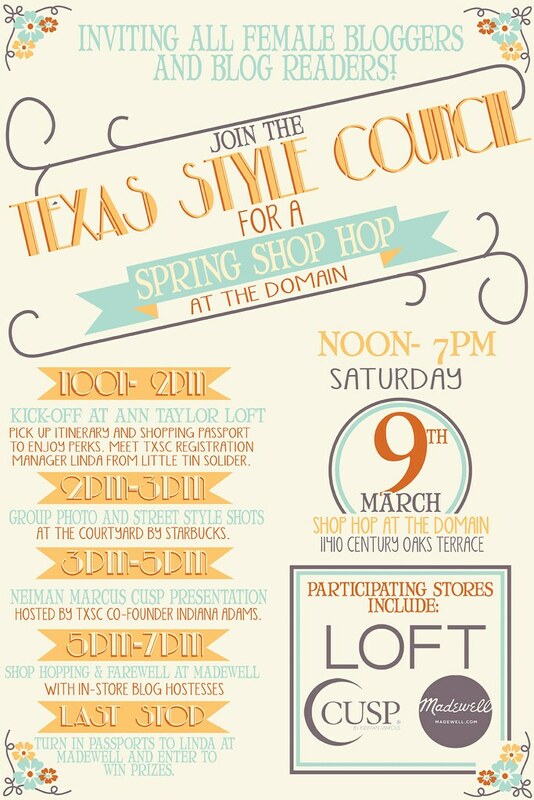 Bonus event for SXSW badge holders: StyleCaster/ Neiman Marcus Cusp party on Monday, March 11th from 8-11 pm.